Barney suggests that our efforts to influence people toward Jesus should be as natural as inviting them into a cool river on a sweltering summer day. Barney concedes that the story of Rahab’s rescue in the book of Joshua is not exactly your stock story from which to draw inspiration for sharing faith with not-yet-believers. He points out that the well-known miracle of crumbling walls and the conquest of Jericho, though remarkable, is only part of the story. The greater story is that of a pagan prostitute and her family’s rescue, redemption, and eventual inclusion in Jesus’ family line. “Rahabs,” Barney writes, “are broken women and men in our own spheres of influence who may or may not make their living from other people’s brokenness, and yet they have something inside that points them in the general direction of the Repairer of the Broken.” He makes a novel connection between this narrative and what he calls “God’s passionate pursuit of people,” and then submits that we are all invited to join him in the pursuit. His inquiry into Rahab’s “conversion” provides us with a fresh notion of shattered souls and a keen expectation of bringing them into friendship with their Maker. The Personal Reflection, Group Discussion, and Taking Action section in the back of the book suggests a number of accessible on-ramps to the adventure of reaching many Rahabs with and for Jesus. Half of the profits from this book are donated to the San Francisco Youth With A Mission building fund. 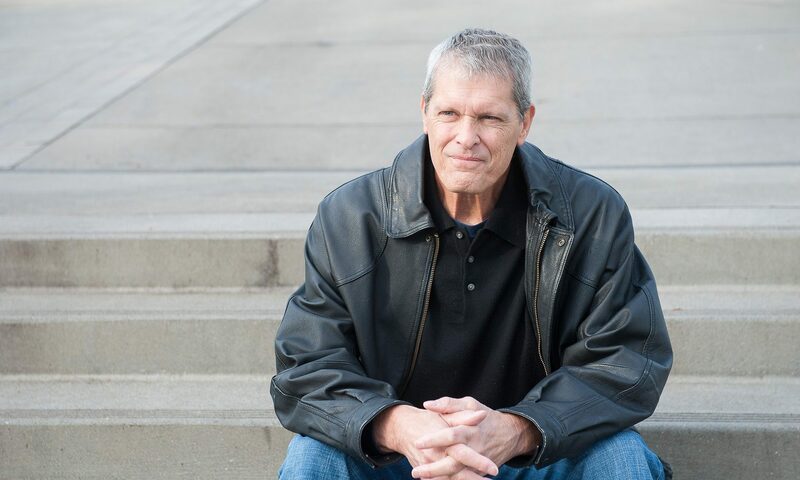 In one two-month period, Barney Wiget lost his marriage, pastoral ministry, income, and health to bone marrow cancer. In The Other End of the Dark he describes, in both heartrending and humorous tones, his grief process and emergence into a season of fulfilling and fruitful service. You won’t find an “I-have-more-faith-than-you-do” brand of Christianity here, but a candid description of a God-trust in progress. He proposes no “mind over matter” approach to faith, but shows how God can take excruciating circumstances and weave them into his excellent plan. Barney’s “small place in God’s big plan” continues to unfold today into a “simple single life of service” in San Francisco’s most destitute neighborhoods. He shares stories of mentoring young spiritual leaders, befriending homeless hippie travellers, and preaching on urine-soaked downtown street corners.